Many of you probably know Ruby. She and her sister have lived with us for many years. They came out of a family situation with many problems, so not surprisingly, Ruby is a challenge! She can be a cheerful, loving, happy girl! But her behavior can also turn quickly into tantrums and other misbehaviors. She struggles with learning in school and getting along with others. 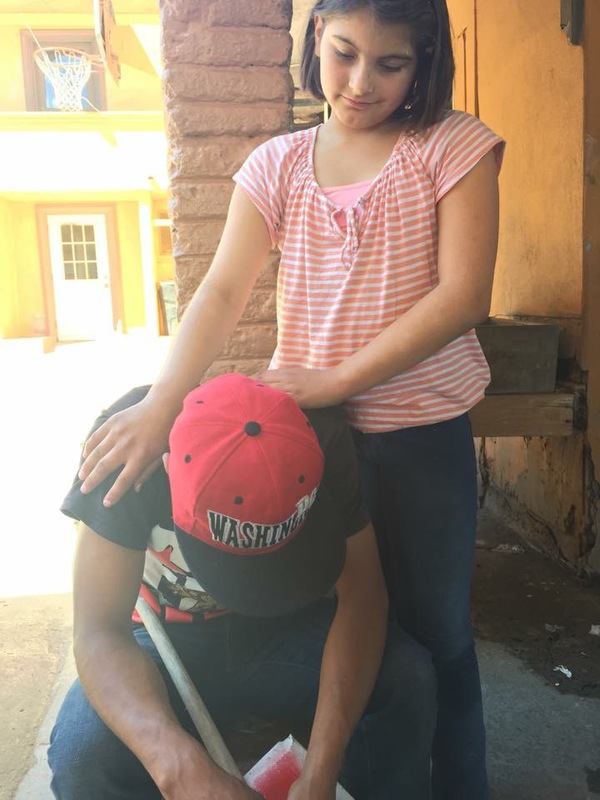 She was having so many problems at Rosarito that a few months ago, she was moved to Soler. After a few months here, we are seeing that the change has been very good for her. She is calmer, plays well with the other younger kids (most of the time), and is helpful. She is taking more pride in her appearance and following the rules (usually). Today, she showed us that in addition to the changes in her external behavior, there are deeper changes internally, in her heart. Another one of the kids here was in trouble, and there was a serious discussion going on as to whether he should stay or go. Ruby came over to encourage him to stay and follow the rules. She was kind and gentle and encouraging. It was awesome to see her love and compassion coming out! The boy in trouble is repentant and going to try again. There is a verse that says, “He who has been forgiven much, loves much.” That is true of Ruby! This place is a place of love and forgiveness for her, and she is learning to share that with others. Praise God!